Washing machines have come a long way since their inception in the 1940s as a revolutionary time-saving domestic device. Today, homeowners have a wide variety of models, designs, and technologies to choose from in their clothes washer. Thanks to revolutions in agitator and insulating technology, many of the leading washing machines on the market are able to efficiently and rapidly clean clothes while producing a limited amount of noise. Traditionally, clothes are moved during the wash cycle by something known as the “agitator” or spinner. While spinning clothes is still a viable method of ensuring that stains and dirt are removed during the washing process, some of today’s quietest clothes washers use a vibrating pulse to shake dirt and stains loose. Depending on the model and technology employed, some pulsating washing machine offer nearly whisper-quiet operation while still efficiently and thoroughly washing clothes. Depending on your needs, you may be in the market for a quiet washing machine that can be transported from room to room in your house and used without disturbing other members of your household. Portable washers generally benefit from a lower noise profile thanks to their compact design and smaller loads, ideal for when you want to wash clothes in different rooms of the house. 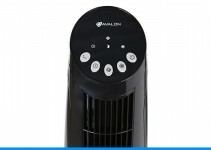 To choose the right portable quiet washing machine, be sure that you are strong enough of maneuvering the appliance when it is empty and that the included rollers or wheels won’t damage your floors. Depending on your needs, you may be shopping for a quiet washing machine that can be used in a variety of settings. 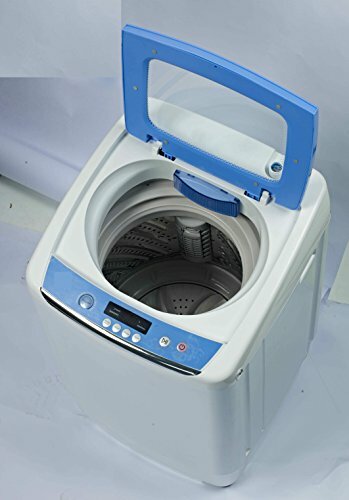 Some of today’s quietest washing machines are designed to be lightweight and portable, connecting to standard faucets for use anywhere where there is a water connection. Additionally, many of today’s leading quiet washing machines can be used with a standard 110-volt outlet. 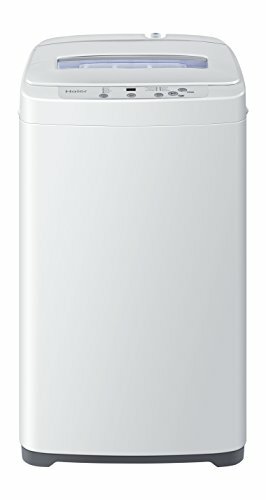 With a classic all-white design, the Frigidaire FAHE4044MW is an Energy Star CEE Tier 1 device. The rugged glass top allows you to check on your clothes as they wash, while the proprietary Vibration Control System ensures that all loads are quietly balanced. The Frigidaire FAHE4044MW includes a special Immersion Care cycle that will gently and thoroughly wash sensitive fabrics. The Frigidaire FAHE4044MW is designed to efficiently and quietly clean up to 3.4 cubic feet of clothes. This highly compact washing machine from Avanti uses a handy top-loading design and three load-size rollers to quickly and quietly wash clothes. The Avanti TLW09W comes with a special pulsating design to avoid the noise and stress on clothes that can be a problem with standard agitator designs. The Avanti TLW09W has a transparent drain hose for added convenience, and uses LED status indicators to always keep you informed about what the appliance is doing. 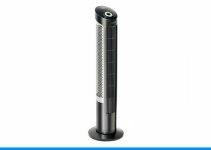 The Haier HLP21N is compact enough to be used in RVs, small apartments, or anywhere that space is at a premium. Using smooth-rolling casters for added easy in portability and storage, the Haier HLP21N can quickly and quietly clean up to 6 pounds or one cubic foot of clothes. The Haier HLP21N comes with indicator lights and a special leg to ensure perfectly level loads. The Haier HLP21N has three different wash cycles and three different water levels to choose from to ensure maximum efficiency. 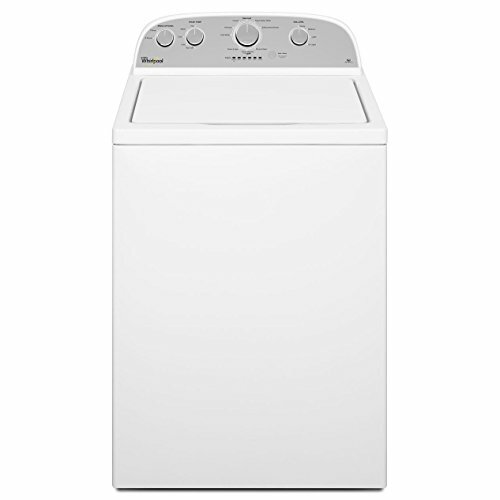 From one of the leading manufacturers of washing machines, the Whirlpool GIDDS-53-8725 can easily and quickly wash up to 3.5 cubic feet of clothes. With a space-saving top loading design, the Whirlpool GIDDS-53-8725 comes with a special smooth surface to prolong the life of your clothes. With nine different wash cycles, the GIDDS-53-8725 uses a proprietary 700 RPM spin design to keep noise to a minimum. With a convenient top-loading design, the Compact Mini Twin Tub by Best Choice Products can quickly and quietly clean up to 13 pounds of clothes (8lb wash and 5lb spin cycle capacity). The Compact Mini Twin Tub is perfect for travelling, both quiet and space saving. The durable plastic build ensures long-lasting rust-free operation. It is easy to use and no set up is required. 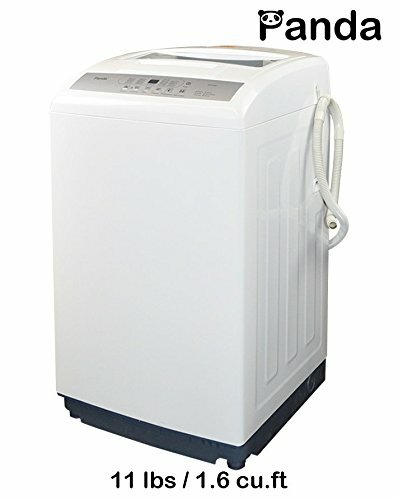 While a little for the home, it is the ideal quiet portable washer for travelling. Ideal for baby clothes, use in an RV, or anywhere that space is at a premium, the Midea compact is designed for whisper-quiet operation. The Midea can handle up to 6.6 pounds of clothes and comes with a “magic” lint filter and removable drain filter. Weighing just 40 pounds when empty, the Midea is designed to be plugged into a standard 110-Volt outlet and standard faucet. The Midea comes with five different wash settings as well as customized wash/spin/rinse times. The Panda PAN50SW is small enough to be used in dorm rooms, apartments, RVs, and anywhere else that standard washers won’t or can’t fit. Despite its small design, the Panda PAN50SW can quietly and efficiently wash up to 11 pounds of clothes with ease. The Panda PAN50SW comes with touchpad controls, LED indicator lights, and rollers for easy transportation. The Panda PAN50SW features six built-in wash programs and three different water level settings for maximum efficiency. 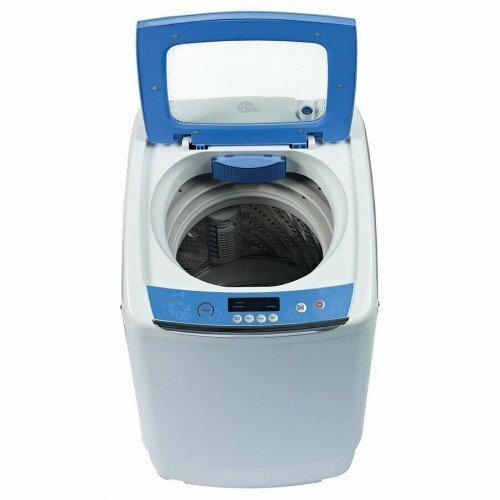 With a colorful white and blue design, the RCA RPW091 is an ultra-portable washing machine capable of cleaning up to 0.9 cubic feet of clothes. The RCA RPW091 has a steel drum and cleans clothes at less than 72 decibels. The RCA RPW091 comes with an included adapter/connector for use with any standard faucet while the built-in rollers make rolling the appliance into position easy and comfortable. The RCA RPW091 comes with a built-in water pump and weighs just 50 pounds when empty. 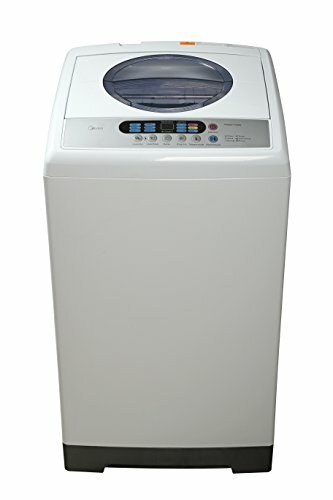 From Haier, this classic white clothes washer can quietly and efficiently clean up to 1.5 cubic feet of clothes. The HLP24E washing machine comes with 4 wash cylces and 4 water levels. 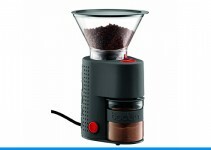 The controls are top mounted electronic LED display, easy to use. There is a single water hose connection and there is a Quick Connect sink adapter included. The HLP24E is free standing, constructed of steel and the product dimensions are – 20.1(D)x 35.5(H) x 19.7(W) inches. 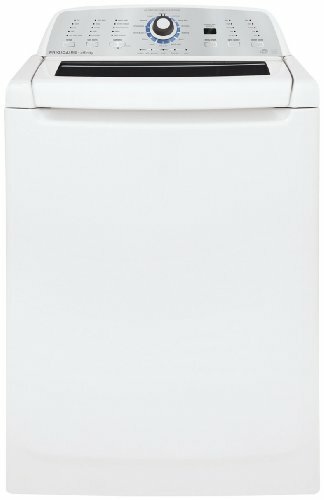 The Midea MAE50-1102PS is a great little washing machine for small apartments where space is tight, or holiday homes. With a 1.6 cu. 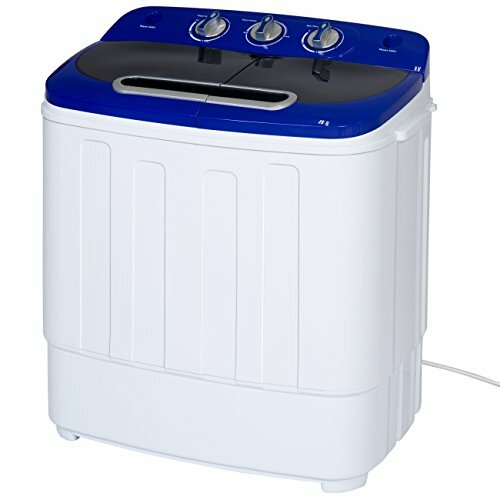 ft capacity, this top loader comes with 6 different wash cycles and 3 water temperature options. It weighs in at just short of 69 lbs, so its not to difficult to transport or move into position, and the rollers also help with that. The Midea MAE50-1102PS is highly rated with 4.7 stars on Amazon in the customer reviews. 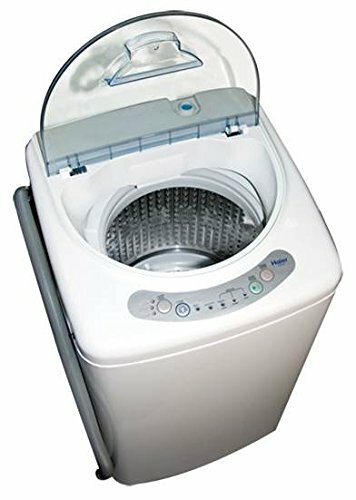 A great choice for a quiet portable washing machine. Thanks to the wide variety of designs, colors, makes, and models available on the market today, it is now easier than ever to buy an efficient clothes washer that is designed for quiet operation. Whether you’re looking for a permanent installation of a clothes washer large enough to regularly clean an entire household’s worth of clothes or a portable unit that can easily be connected to a standard faucet and outlet, finding the ideal model for your needs is definitely possible. Carefully review all of the specifications and details of each quiet washing machine before making your purchasing decision, and you can begin enjoying having an abundance of clean, fresh clothes without sacrificing the quiet sanctity of your home environment.